The director’s Bhayanakam has won three national awards this year. At the other end of the phone, director Jayaraj sounds content. It is a proud moment for the director whose movie Bhayanakam has bagged three awards – best director, best adapted screenplay and best cinematography – at the 65th National Film Awards. Not just that, Jayaraj’s documentary Rebirth has got a special mention in the non-feature category. 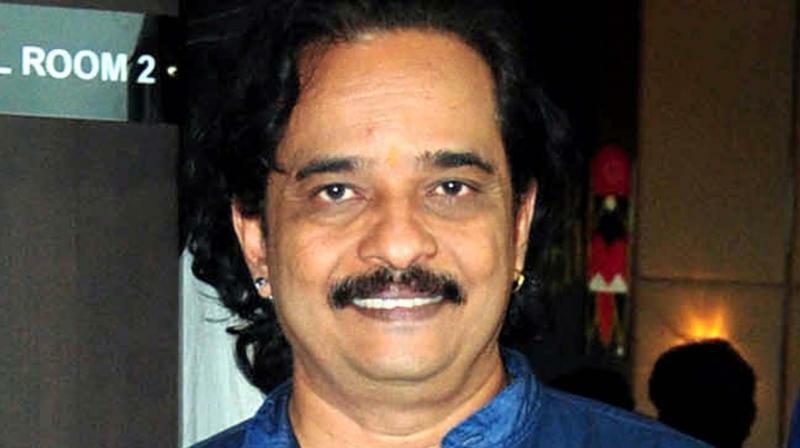 Jayaraj, who has earlier presented to us movies based on the nava rasas (nine emotions) Karunam, Shantham and Veeram, says the latest on the list Bhayanakam, is based on the rasa (emotion) bhayanakam (fearful). The movie is an adaptation of the popular novel Kayar by Jnanpith award-winning Malayalam writer Thakazhi Sivasankara Pillai. “In the novel, there is a story of a postman spread across two chapters. The story, through the life of postman, shows the terror of World War II,” says Jayaraj, who came across this subject much earlier. “I was working as the assistant of Bharatettan (director Bharathan) when scriptwriter John Paul told me about the character of the postman. Though I planned to work on the project in 2000, I couldn’t do it then. I put it aside,” he adds. The idea resurfaced when Jayaraj’s assistant Bijuraj, a photographer, reminded him of this thread. “I was about to start writing another script. Then, Bijuraj reminded me of this. He said the subject has relevance in this age when a war could break out at any point, anywhere. Hence, I decided to write this,” says Jayaraj, who did the movie last year. The shooting was held in Kuttanad, Kavalam and Kumarakom. The fear of war, the biggest fear, is depicted through Bhayanakam. “Malayalis haven’t experienced a war in close quarters. The memory we have about it revolves around the soldiers who joined the British Army to fight in World War-II and died in some part in the world,” says Jayaraj. Actor Renji Panickar has enlivened the character of the postman. “I thought he would get an award,” says Jayaraj, who is friends with Renji. “Friendship is there but before the camera I saw him as actor. In the movie, you won’t see Renji but the postman only,” he adds. Jayaraj says he is grateful to producer Dr Suresh Kumar Muttath for supporting him in the journey. “He is an American Malayali who appreciates art. His support has been there throughout. He allowed us to think and act liberally,” he says.